Now that the kids are getting ready to head back to school, not as many families will be heading to Maui, and it’s the perfect spot for couples to have their own special, romantic getaway. What’s more romantic than one of the most beautiful islands in the world, complete with pristine beaches, lush rainforest, and miles of breathtaking coastline? If you’re here for your honeymoon, destination wedding, anniversary, or even a spur-of-the-moment trip with that special someone, you should definitely check out two of our most romantic adventures: our Haleakala Sun-Trek and our Hana Ultimate. One of our favorite tours, this is the perfect way to spend a day on Maui seeing the peaceful, serene side of the Valley Isle. Begin with an early-morning hotel pick-up, and before anything else, your Tour Guide will take you right to the Kahului Heliport for the first flight of the morning over Haleakala, the beautiful, moon-like dormant volcano, illuminated by early sunshine for an incredible sight. Then, touch down and settle in for a no-host breakfast at Café Mambo, in quirky, colorful Paia. Afterward, tour Makawao Town, the perfect quaint cowboy town for strolling hand-in-hand, away from your busy resort. Toast each other and get an unforgettable distillery tour at Ocean Vodka, where you’ll sit down to a picnic lunch on their beautiful grounds, and then watch goats frolicking in the afternoon sun at Surfing Goat Dairy, where you’ll enjoy a tasty flight of their award-winning goat cheese. 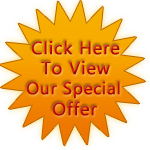 This adult-centered tour is the perfect way to get a taste of Maui with like-minded, discerning travelers, a Hawaii-Certified Tour Guide, and of course, your special someone. The classic, most upscale Road to Hana tour on Maui is back, and guests are over the moon about it. 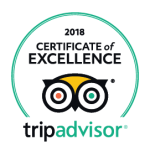 From being picked up at your hotel’s front door, your Tour Guide will take you right to Café Mambo, for a relaxing, run-of-the-menu breakfast. Then, sit back in the comfort of a Luxury Limo-Van, and enjoy the winding Road to Hana, with romantic photo ops around every corner. Join your sweetheart for a dip under a waterfall, learn about some romantic Hawaiian legends from your Hawaii-Certified Tour Guide, and of course, enjoy the beautiful Travaasa Hana for a four-course luncheon. On your return home, see some beautiful, lush plant life, more cascading waterfalls, and if luck is on your side, a brilliant rainbow to make a perfect East Maui day even better. 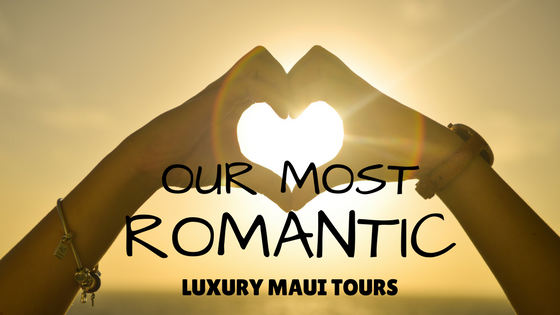 Whether you’re planning every moment of your Maui vacation, or are looking to surprise your sweetie with an unforgettable luxury tour, we’ll be thrilled to have you on board during your romantic Maui getaway!